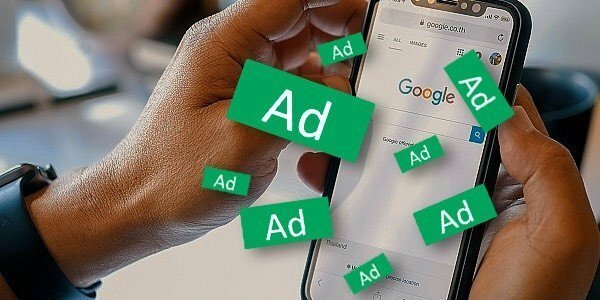 Keen-eyed users have noticed that Google has been testing up to a total of 14 ads in a single search results page on mobile. That’s right, 14 ads. The test was first spotted by Fibre Marketing, who shared a screen recording of the discovery. In the recording, you will see a total of 14 ads are shown before the user reaches the ‘More results’ button at the end of the page. The 14 ads aren’t all in one chunk, with 4 consecutive ads appearing first before being followed by two organic listings. After this, there are 7 more consecutive paid listings then a further 6 organic results. Finally, the SERP ends with three more PPC ads in a row before the ‘More results’ button. Collectively this means there are a total of 14 paid ads among only 8 organic results. This is twice as many ads as what currently shows on a regular SERP. It’s quite the bold move from Google, as however you look at it, it’s a huge number of ads in comparison to what users currently experience. It has to be said, though, that not all searches result in this many ads appearing, so it could entirely be based on what content is available for each search. It could be possible in the near future that we see more results pages like this, but it entirely depends on the feedback from Google’s test. They are often seen testing new features that improve user experience and the quality of search results, however as we can see here they are not beyond researching further ways to monetize SERPs. For advertisers, this could be a benefit, with much more canvas available for PPC optimisation. However the test will unlikely benefit organic SEO practitioners. With so few organic results among a slew of paid ads, it could be difficult securing a position of worth or standing out from the slew of paid listings. Despite PPC ads having poorer CTR (click-through rates) than organic listings, it’s hard to imagine this implementation (if it does go ahead) not having a hefty impact on the performance of natural ranking websites. Google is a business after all, and whilst it has made many changes, for the better, when it comes to organic listings, it makes sense for them to want to get more and more PPC users on board. With that being said, it’s unlikely that users will give much positive feedback. Paid ads continue to have a certain stigma around them, with a lot of users opting to skip PPC ads entirely when looking for a result. By adding more paid ads into the SERPs, it’s likely to hinder user experience rather than benefit it. As with all of Google’s tests, only time will tell if we will see it implemented, tweaked or completely binned.